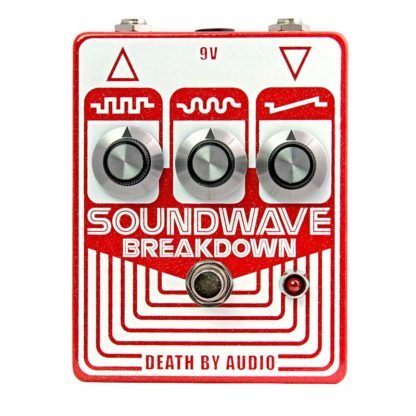 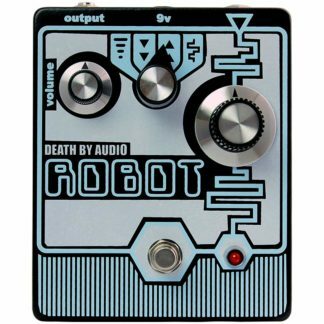 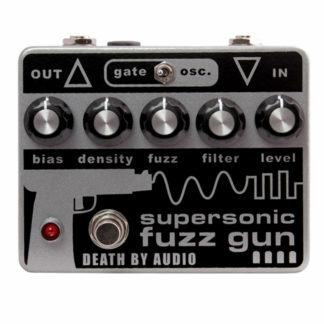 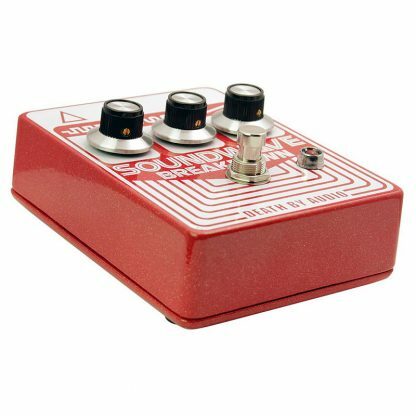 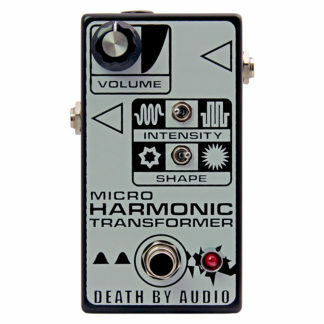 The Death By Audio Soundwave Breakdown takes the idea of a screaming fuzz pedal and turns it inside out, using specially matched transistors turned backwards to get it’s bombastic sound. The Death By Audio Soundwave Breakdown takes the idea of a screaming fuzz pedal and turns it inside out, utilising specially matched transistors turned backwards to get its bombastic sound. 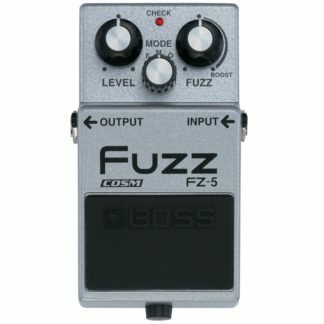 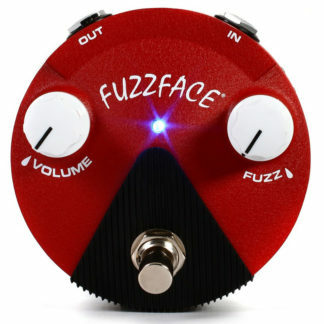 The exact positions of the knobs yield completely different sounds, ranging from fuzz, buzz, and grind to bleeps, synth sounds, etc. 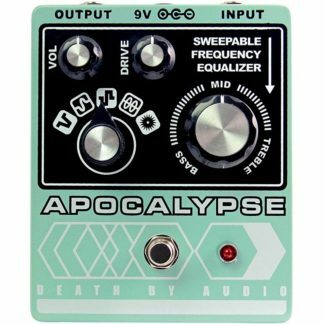 A vast universe of gnarliness is yours. 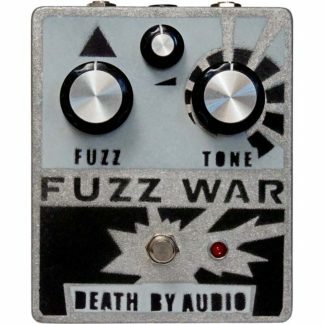 Be forewarned, it’s only grizzled psycho fuzz all the time. 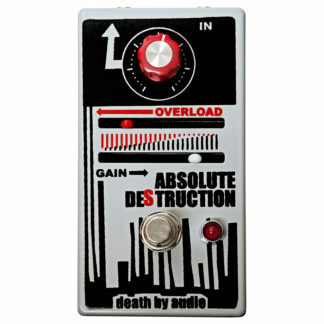 Dimensions: 4.9″ x 3.75″ x 2.1″ (including knobs and jacks).